I'm that person, the one that's always thinking about my next meal. "What will I cook? Where can I shop for the best ingredient? Where are we going to eat?" are just a few of the insufferable thoughts always in my mind. But because of this, pairing food and tea has become a fascination of mine. 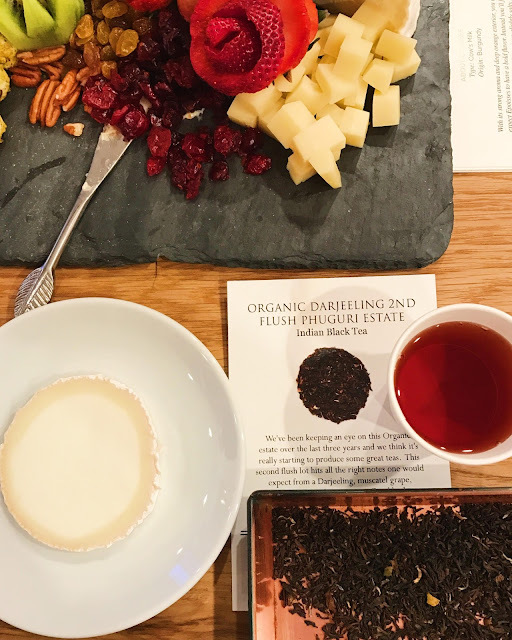 So of course when I was invited to a tea and cheese pairing at the French Cheese Board in SoHo, I immediately cleared my schedule. Since taste is subjective, it's difficult to critique a tea and food pairing. But, when the pairings work particularly well, it's easy to praise. 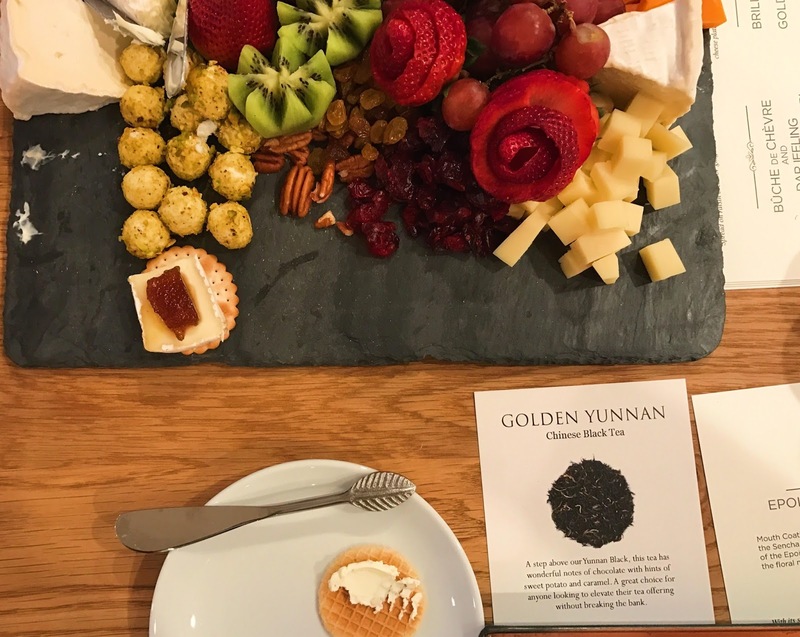 I have quite a bit of praise for this particular tea and cheese event. I love having hot teas with cheese. I find that the warmth of the tea uncovers hidden flavors in cheese that may go unnoticed when nibbling with a cold beverage. The cheese of course came from the French Cheese Board and the teas were provided by Royal Tea New York. I had the pleasure of meeting Ravi Kroesen, the Director of Tea Operations. He's had some incredible tea adventures, and selected thought provoking tea pairings for each cheese. I was so happy to see two fellow bloggers at this event! Nicole from Tea For Me Please (check out her writeup of this event), and Natasha who has done some fantastic video tea reviews and has spent quite a bit of time in France. The first duo was a light sencha paired with epoisses (the first picture above). The sencha is a slightly steamed (asamushi) tea grown in southern Kagoshima. One sip and you can hear the ocean and taste gentle marine mist and steamed greens. Epoisses is a washed-rind cheese from Burgundy that pretends to be a bit stinky, but really is just gooey and gorgeous. I just loved this pairing- the creamy epoisses has a bit of tang and saltiness that worked really nicely with the green yet oceanic sencha. There is a creaminess to this Kagoshima grown tea that enhanced the texture and flavor of the cheese. Quite a way to start the tasting! Next came a wedge of mimolette with Phoenix oolong. This Dancong oolong is more specifically called mi lan xiang, or honey orchid fragrance. The tea is fruity and sweet and has a nice roasty comforting hug. The mimolette is a hard cheese from Pas-de-Calais that has deep fruity smoothness and a nutty aroma from a nice bit of aging. These two complimented each other quite nicely. When I closed my eyes, the heat of the tea made me think the cheese was actually a fruity butterscotch candy. Our third pairing was an organic 2nd flush Darjeeling from the Phuguri estate with a chèvre from Loire valley. If you read one of my recent tasting reviews, you'll know 2nd flush Darjeeling is a particularly nostalgic tea for me. This one was quite nice, with the sweetness and muscatel flavors I love in a Darjeeling. It had the right amount of astringency I was looking for as well. This chèvre was a Bûche de Chèvre, which is a soft ripened goat's cheese. Let me admit I usually can't stand fresh goat's cheese. It just tastes like dirt to me. I've tried and tried to like it, but usually come up short (and why is it always ruining a good beet salad??). The only exception was a very hard, aged goat's cheese I had a few years ago. This cheese was very similar- it didn't have that dirt-gamey flavor I associate with goat's cheese! A gamey flavor was whispering in the background, but not screaming to take over. It had a pleasant tang and was quite milder than I expected and quite sweet. The sweetness in the tea complimented the cheese, and the astringency helped cut through the creaminess. The final pairing was perfectly placed, because it tasted like dessert! Golden Yunnan tea was served with a cracker topped with Brillat-Savarin from Ile de France. Golden Yunnan tea is one I always enjoy, and I was happy to see it on the agenda. This one was smooth and sweet with sticky sweet potato and strong notes of chocolate. The Brillat-Savarin may sound familiar, as it's named after the famous french gastronome known for the phrase "Tell me what you eat, and I will tell you what you are". This cheese elicited happy noises from the group. Another soft-ripened cheese, this one is just the epitome of fromage decadence. Creamy, smooth, and very satisfying. The cheese and tea together made me immediately think 'chocolate cheesecake!!'. What else needs to be said? I wish I had thought to take home some of that heavenly cheese! I'll definitely be stopping by to pick some up next time I'm in the area. To learn more about the cheese you can visit The Cheeses of France website. 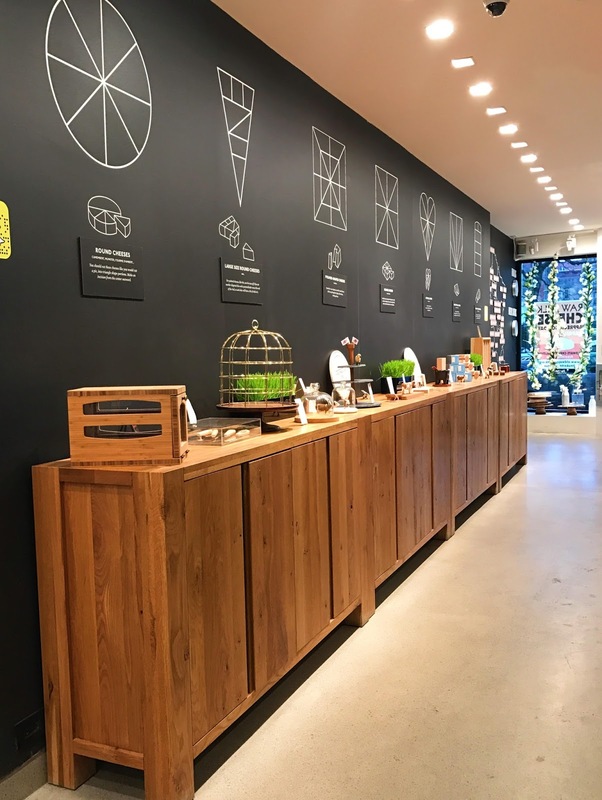 For the teas, go to Royal Tea New York. Thank you to Royal Tea NY and the French Cheese Board for a creative and delicious event! I enjoyed seeing tea friends, meeting new ones, and filling my palate with interesting flavors. 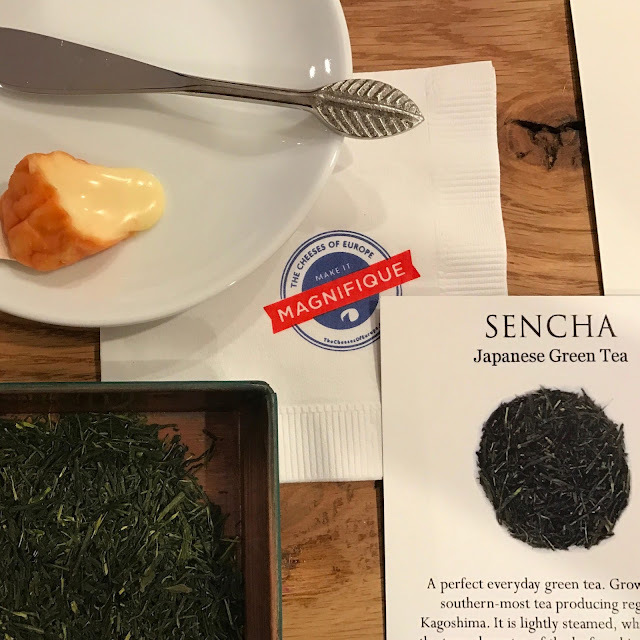 Curious to see more about tea and food pairings? Well, stay tuned- a couple of my blogger friends and I are creating a fun series that will debut soon. Beautiful review, Sara. 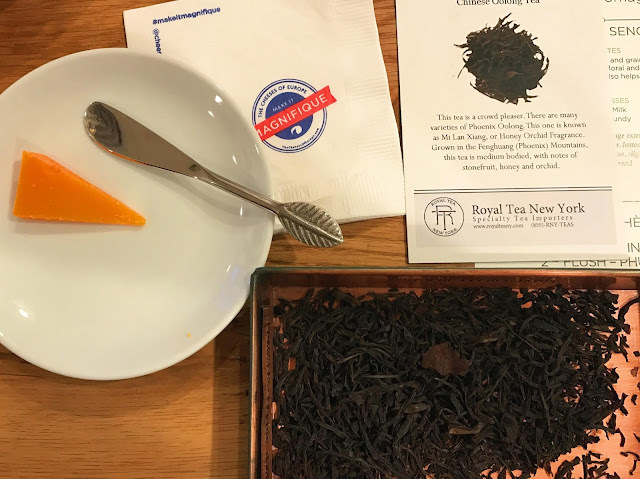 Nice picture too..
Reading your review Sara was like being there and enjoying every creamy cheese bite and the wonderful hot teas selected for this pairing.Tonight I ll dream of tea and cheese!